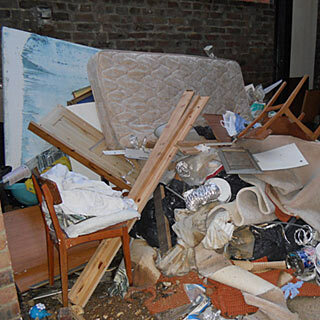 J & J Removals are fully licensed for waste carrying with the Environment Agency and have many years experience in house and rubbish clearance. We work in and around the surrounding areas of Portsmouth, Chichester, Petersfield, Gosport, Hayling Island, Waterlooville, Havant and covering all of Hampshire. You can rely on our competitive and reliable service to clear your rubbish and unwanted items from your home, garden, garage, shed or office, at a day and time to suit you. No job is too big or too small for our rubbish services. 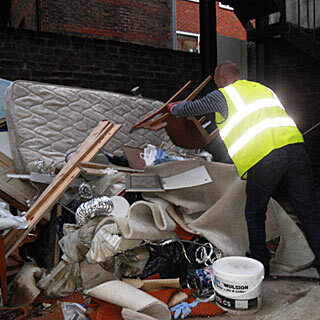 We have the skills and experience to clear your unwanted rubbish in no time, leaving everything clean and tidy. We can work with your family member, friend, solicitor, neighbour, estate agent or letting agent anywhere in Portsmouth and surrounding areas. We can pick keys up and don't require you to be at the property if you are unable to be there due to other commitments. We are aware that with many house clearances we are dealing with peoples' losses, feelings and possessions that may hold sentimental value. We can also clear your unwanted property in preparation for rental or sale. We can also take away clutter due to years of accumulated possessions, or which have abnormal amounts on general household items whatever the conditions of the items or the property. However bad we will have seen it before. Our service is environmentally friendly and we are fully licensed by the Environment Agency to carry rubbish . We issue a Waste Transfer Notice with every collection with details of what has been taken and where your waste will be taken to for peace of mind. We also issue a receipt. We send most reusable items such as bedding, clothing, bric-a-brac & furniture to charity shops. 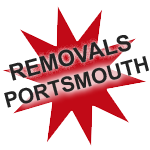 Please note that we are a Portsmouth Removals Company and you can see our home page for full details of our general house moving service. For your smaller needs we also have a Man And A Van Service.